Geoff Keezer is a young pianist of the present , for the future -- a dazzling player and extra -smart group leader , a melody-maker and a first choice accompanist whose originality and gleaming skills result is music that is fresh and fine beyond genre. A native of Eau Claire , Wisconsin , where both his parents taught music . Geoff began studying piano at age 3 and was hooked on jazz as a teenager. In 1987 he won a Young Talent Award from the International Association of Jazz Educators , and grabbed the ear of pianist James Williams , who offered encouragement and guidance. Shortly after Geoff enrolled in the Berklee School of Music in Boston. Williams produced his debut Waiting In The Wings (1989) and in '90, Curveball for Francois Zalacain's Sunnyside Records. At that time Williams also introduced Geoff to legendary drummer Art Blakey. After one year at Berklee, Geoff moved into graduate -level studies -- touring the world in Blakey's Jazz Messengers, in company with the likes of saxophonist Javon Jackson and trumpeter Brian Lynch (as heard on Blakey's One For All, A& M 1990). Geoff's Appearances also began to cause some considerable stir in the New York City's most discerning jazz haunts , including the now-defunct Bradley's. 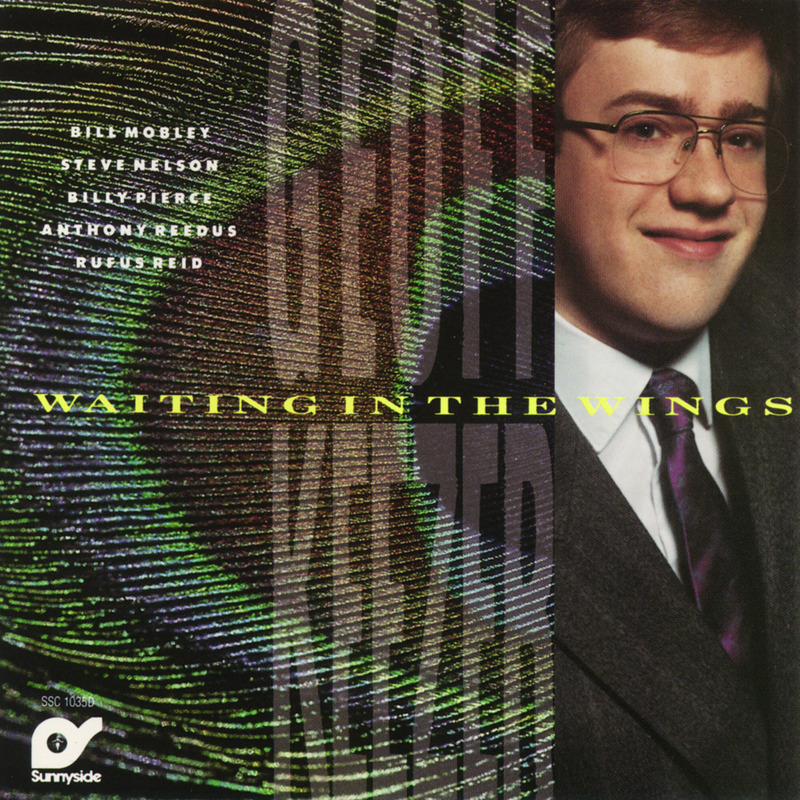 Before long Geoff was jamming till dawn with the night-blooming talents of his generation: saxophonist Joshua Redman and Donald Harrison , trumpeter Roy Hargrove and Terence Blanchard , Bassist Christian McBride , and drummer Marvin "Smitty" Smith, among others. 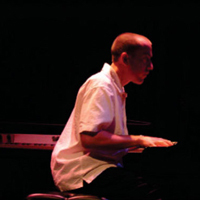 Geoff also led quartets and quintets ( as on Here And Now , Blue Note/ Something Else, 1991) , a trio ( on World Music DIW/Columbia, 1992) and his unique Other Spheres( DIW Japanese import only 1993) and co-founded The Contemporary Piano Ensemble with pianists Williams, Donald Brown, Harold Mabern and Mulgrew Miller, recording Four Pianos For Phineas( on Evidence) and The Key Players ( on DIW/Columbia, 1993). He toured the U.S and Europe with Redman and McBride as The Three Musicians in 1992 and 1993, and recorded Trio ( on Sackville , 1993) with Steve Nelson and Neil Swanson. He's earned an enviable reputation as a sideman , in support of such esteemed jazz veterans as bassist Ray Brown (whose trio Geoff joined in early 1997 ) , flugelhorn and trumpeter Art Farmer, and saxophonist-composer Benny Golson. In the eight years of his professional career Geoff has addressed a vast range of repertoire, performing Gershwin's Rhapsody in Blue ( in 1992 , at the Hollywood Bowl , with John Mauceri conducting ), composing on commission ( such as his ambitious Palm Reader for the Carnegie Hall Jazz Band directed by John Faddis ) , and interpreting America's classic songs by Duke Ellington , Monk , Cole Porter and Thad Jones . His breadth is especially impressive on his newest recording Turn Up The Quiet (Sony). Geoff re-envisions tunes by England's My Bloody Valentine ( "Lose My Breath") , Japan's Ryuichi Sakamoto ( "Rose" , "Bibo no Aozora" ) , and Brazil's Ivan Lins ("Love Dance"). These "new standards" are sequenced among his re-energizing renditions of the standards ; "Stompin' At The Savoy" ( Benny Goodman), "The Nearness of You" ( Hoagy Carmichael) and "Lush Life ( Billy Strayhorn). And Geoff's own writing holds up in this company , leaping from quirky , spontaneous blues( "Madame Grenouille") to a sultry, highly polished , of the moment ballad ("Island Palace"). "My intention was to make a really good contemporary music record--- to make some acoustic music that exists now!" Geoff says of this effort , and really, all his work . He shuns labels and cliques, but claims the unaffected poise of his generation:" We're not trying to copy records from the 50's, or pretend that we're the guys before us , our heroes. We're not trying to be anything but what we are." That identity is formed through experience , of course. "The Messengers experience taught me a lot about pacing for instance," he explains. "About programming a set, adjusting songs to suit the mood of the audience. He adds, " Art Blakey had a great deal of energy, the kind you encounter at a great rock concert or hearing a Beethoven symphony played by a great orchestra-- energy that gets right inside you." but Geoff knows that energy needn't be loud , and he himself prefers a "subtle energy... something more mature." "I love techno, dance music, pop and rock as much as anybody , " he insists. "What I'm saying is , look, we're all young we're all in the world together , watching TV, going on the Internet. And there's a lot of different great music going on . Here's something else to check out, just to get a break from that other stuff for a minute. " Geoff's previous projects were created under time and budget constraints-- with as little time as one day to rehearse, another to record and another to mix. These past recordings have provided sharp snapshots of his art, as though capturing one of his especially good gigs. On Turn Up The Quiet, produced by Tony McAnany and Joel Moss for Sony Japan, Geoff enjoyed a budget and production schedule on the order of a mainstream music project for the first time . In response, he created a multi-dimentional album : three solos at the piano , six songs in diverse combos of Krall, Redman and McBride, and two strikingly contemporary pieces---"Island Palace" and "Bibo No Aozora," with guest personnel and deft use of digital studio technologies. Geoff's essentially acoustic basic tracks are enhanced by deft percussion ( by sambatista Cyro Baptista, and Scott Frankfurt, using brushes on a pocket wallet), background vocals( Nona Hendryx behind Diana Krall), sampled programmming, and strings ( the quartet CELLO). Both pieces are beautiful ballads, distinguished by Geoff's utterly contemporary piano lyricism , yet they convey the same spirit as his daring takes of " Stompin' At The Savoy" and " My Shining Hour".
" I'm not worried about preserving the traditions or lineages which flow naturally in our lives, our music-- everyone builds on whatever came before, " says Geoff, with new constructs out of stride, swing, bebop and modernism evidently at his fingertips. "I'm just interested in making good music that's fun to listen to. I'm not in this for the money, but I don't want to be, either, one of those guys who's so diehard and uncompromising, that nobody likes what I'm doing. I'm hoping I can do what I want , and people will like it too." Geoffrey has been immersed in music his entire life. Born into a musical family, with both parents teaching music, he began studying piano at the age of three. In 1989, at the age of 18, after completing his first year at the Berklee School of Music, Geoffrey left for New York to join Art Blakey's Jazz Messengers. His professional career has spanned many projects and genres. In 1992, for example, Geoffrey performed Gershwin's Rhapsody In Blue with the Hollywood Bowl Orchestra under the direction of John Mauceri. In addition to his nine releases, and constant touring, Geoffrey has also been commissioned to compose several pieces for public performance, including Palm Reader for the Carnegie Hall Jazz Band, Listen Look for the Saint Joseph Ballet, and Variables, a set of variations for piano and string quartet written especially for the Mainly Mozart Festival in San Diego. Geoffrey continues to work in partnership with world class musicians from all genres. His 1998 release, Turn Up The Quiet, featured Grammy winning vocalist, Diana Krall along with Joshua Redman and Christian McBride. He has also teamed up with world renowned classical artist, Barbara Hendricks for tours in Europe and Japan. His two releases in 2003, Falling Up and Sublime: Honoring the Music of Hank Jones, were both collaborative efforts. Sublime is an ambitious set of duets with Kenny Barron, Chick Corea, Benny Green and Mulgrew Miller. Falling Up features several pieces where Geoffrey worked in tandem with master Hawaiian Slack Key Guitarist, Keola Beamer. Praise for Geoffrey's artistry comes from all sides. Time magazine wrote that Geoffrey possesses "a refreshingly open-eared sensibility in the modern manner, and he has more than enough virtuosity and sheer musical wit and intelligence to weave all of his apparently disparate strands of influence into an original and compelling whole." His peers speak glowingly about his artistry as well. Hawaiian guitarist, Keola Beamer reflects "I was fortunate in my recent travels, to establish a warm friendship with Jazz pianist, Geoffrey Keezer. Geoffrey has a beautiful, spatial style that I immediately fell in love with the first time we played together in San Francisco." His fans also echo their admiration for his artistry. Surf to any online CD shop and read the glowing reviews of his releases submitted by purchasers worldwide. 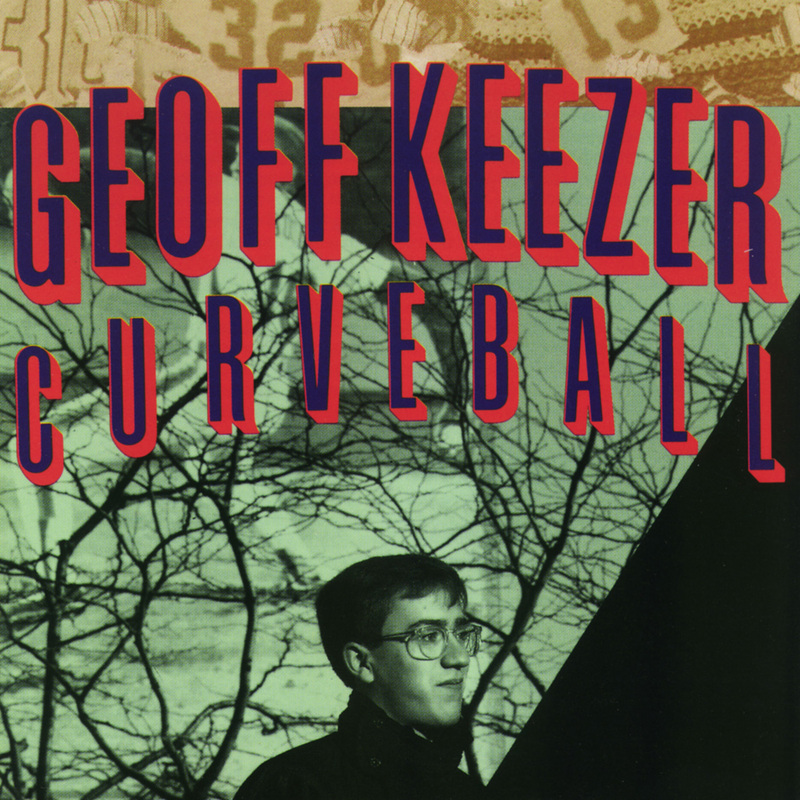 Geoffrey Keezer continues to be in high demand, as a performer, as a composer, as an arranger, and as an artist. He has worked with virtually all of the living legends of jazz and has appeared on countless recordings both as a leader and as a side man. He works worldwide doing performances, commissioned works, recording projects and cross cultural collaborations.